The Mounties travelled from Manitoba to begin treaties with the First Nations of the area. The current Fort Calgary resides on the exact piece of land that the Mounted Police first settled on. “George C. King is credited with being the first across the river,” said Novak. “He’s often considered Calgary’s oldest citizen. 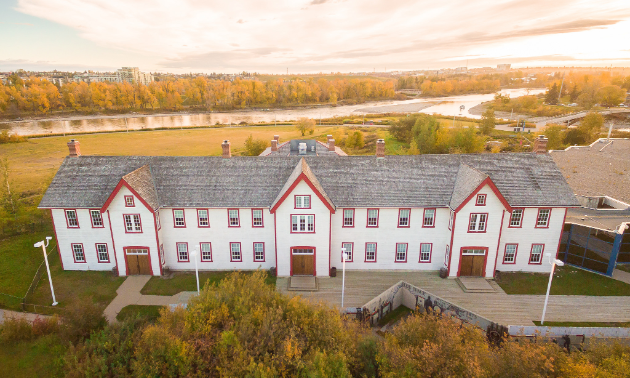 He was the first member of his troop to cross the river onto the land that is now Fort Calgary.” The Mounties constructed the first Fort Calgary in August of 1875. One Mountie—Colonel James Macleod—named the city after Calgary Castle where his friends and family lived in Scotland. More settlers followed after the completion of the railway in 1883. 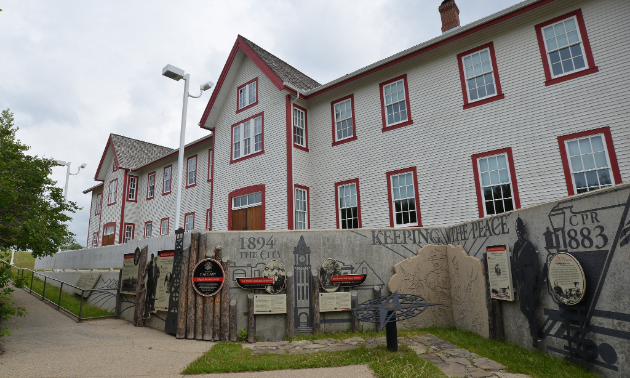 Since that point, Fort Calgary has remained a focal point within the city. Over the years, it has served as a police centre, a hospital, a place for business and a social centre. In 1914, the Canadian National Railway took ownership of the site. Unfortunately, the original Fort Calgary was covered by a railway yard. However, in 1974, the city bought back the site to recreate the hub that once was. Now, The Fort Calgary Preservation Society owns the 17 hectares (40 acres) on which the Fort and interpretive centre was built. Despite the site changing hands a few times, Calgary has continued to grow around its original foundation. “The area of Inglewood, which is located just down the road from Fort Calgary, was the first downtown of Calgary,” said Novak. The city has seen huge changes since its founding, including the shift of downtown to the west side of Fort Calgary. However, the fort remains the centre of the city, and its grounds are cherished. The best time to visit Fort Calgary is on Sundays. The morning starts off with brunch onsite in the fort's restaurant. Museum entry is included in the price for brunch. “We would love for people to come visit,” she said. 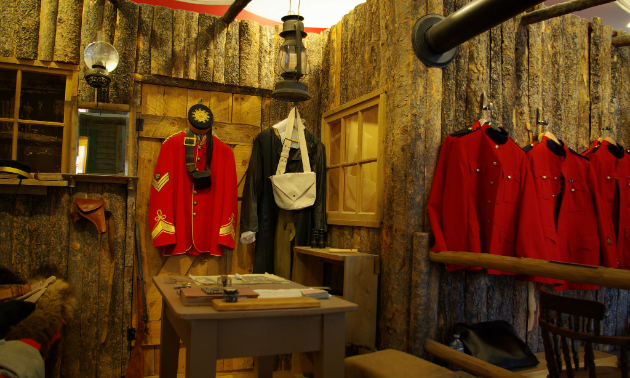 The location is what completes the experience of Fort Calgary. “The real value that we have here is that we are on the authentic land on which Calgary was founded,” Novak said. “It’s a really great park space in the city as well.” The fort’s quiet space next to both the Elbow and Bow rivers is a popular place for city dwellers to enjoy some fresh air, and for visitors to soak in the views of Calgary’s downtown. Canada’s Family Day weekend makes Monday, February 20 a holiday this year. Fort Calgary is ready for the occasion, especially in this 150th year since Canada’s founding. Winterfest will take place on Family Day. Guests receive free museum access, enjoy live music performances and fun treats like maple syrup candies frozen on snow. Canada Day will be another must-attend this year. “Every year we have Canada Day celebrations, but we will be ramping them up a little bit for the 150th,” said Novak. “All of our Canada Day celebrations happen outside on our 40 acres of land adjacent to downtown.” The day kicks off with a free pancake breakfast accompanied by live music. 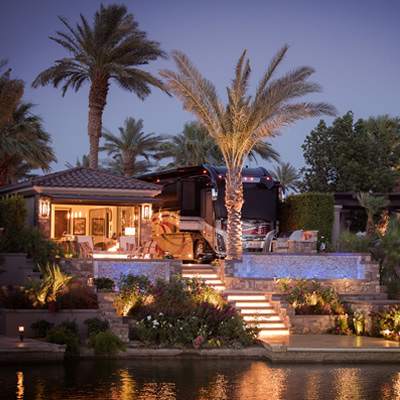 Kids crafts and historical displays will be on site as well, and the music won’t stop until the sun goes down. Fort Calgary will also host the city of Calgary’s Living Flag event.